Marquasio was barely one week old but 12 weeks premature when we photographed him. 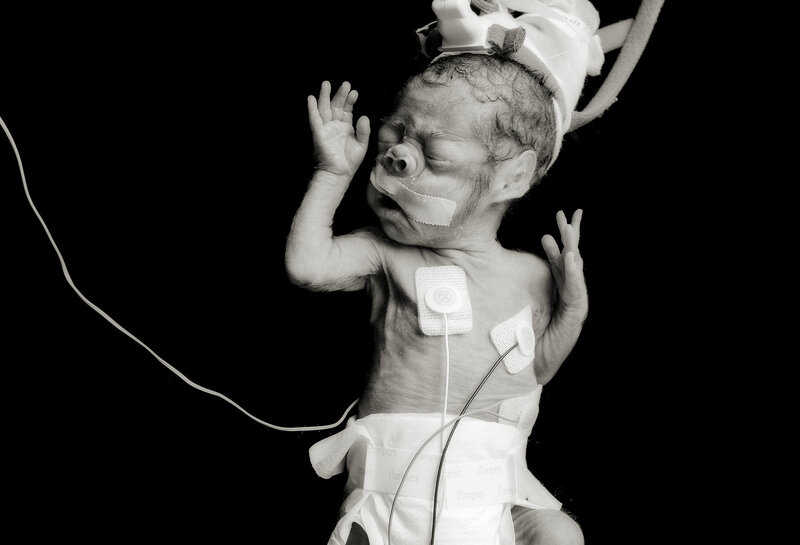 Most preemies require a constant flow of oxygen, but the mask required causes the nose to be pushed in dramatically. However, the apparent disfigurement is only temporary. The body...even a small one has an amazing ability to heal.